Counter to these uses, polluted runoff — the muddy stew of stormwater, dirt, bacteria, and toxins that runs off streets, roofs, parking lots, and other hard surfaces — is a growing issue for our local creeks, streams, and rivers. The Environmental Protection Agency recently confirmed this increase in urban and suburban runoff. We need to step up and address this issue, or we risk failing at the Commonwealth’s goal to restore our local streams and the Chesapeake Bay by 2025. Virginia has invested in upgrading wastewater treatment plants over the last decade, greatly reducing the pollution flowing into our rivers, streams, and the Chesapeake Bay. However, as we’ve increased the area of impervious surfaces — meaning our parking lots, roofs, and roads — we’ve seen an increase in the amount of polluted runoff (also known as stormwater). A combination of increased impervious surfaces and more intense rainfall events have also exacerbated flooding and the potential for loss of life and property damage. Much of our urban and suburban infrastructure was built before we fully understood how stormwater degrades local streams. Many larger localities have MS4 (urban stormwater) permits, which require a reduction of nutrients and sediment flowing into Virginia waterways. Implementing programs to achieve these goals — particularly retrofits to older infrastructure — can be expensive. Fortunately, the Virginia General Assembly created the Stormwater Local Assistance Fund (SLAF), a state and local matching grant program that helps localities protect and improve the health of our waterways. Over its lifespan, SLAF has provided grants to 51 localities for 175 projects across Virginia. Although not funded in 2016 or 2017, the 2018 General Assembly session appropriated $20 million for this program. This is a fraction of the funding needed to address the issue but continues the momentum toward clean and healthy waterways in Virginia. Localities across Virginia have improved the health of their waterways using SLAF grants. The City of Hopewell restored a wetland to filter the water that flows into the James River. Hopewell used the SLAF grant as match for a federal National Fish and Wildlife grant, which enabled the city to achieve substantial nutrient reductions while providing a restored park as a city amenity. Similarly, the City of Waynesboro restored a wetland using a combination of SLAF and federal funds to achieve significant pollution reductions and meet its permit requirements. The city’s project provides a healthier environment for its citizens while attracting tourists to its lively trout streams. These projects illustrate the multiple benefits derived from cleaning our waterways — from increasing tourism to beautifying public properties to reducing the potential for flooding. 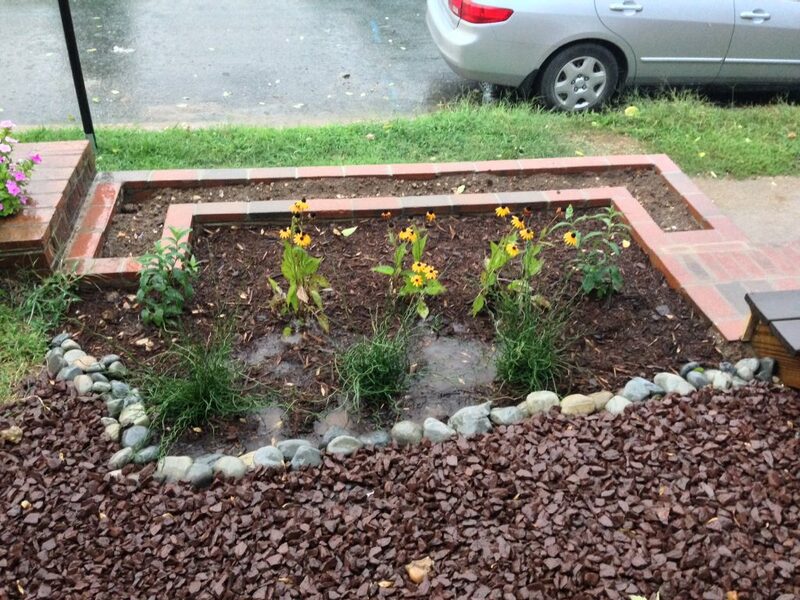 The Virginia Conservation Assistance Program (VCAP) provides cost-share assistance for smaller-scale residential and commercial projects, such as rain gardens, conservation landscaping, and permeable driveways. VCAP provides financial incentives and technical and educational assistance to property owners to address problems like erosion, poor drainage, or poor vegetation (bare soils). Since the program began in 2012, Virginia’s Soil and Water Conservation Districts and their partners have installed over 218 projects. However, a $600,000 backlog in project applications currently awaits funding. Property owners, businesses, schools, and localities have come to rely on VCAP as a cost-effective method of addressing erosion and polluted stormwater runoff in their communities while helping to engage and educate the public. The stormwater technical rules that took effect in July 2014 are designed to minimize pollution from new construction. However, Virginia’s stormwater management program comes under attack every year. Virginia’s legislators must remain strong in their commitment to maintain; enforce; and where possible, improve the program. The historical investments in wastewater treatment plants have been critical to improving the health of our rivers, streams, and the Chesapeake Bay. That same level of investment is needed now to address the growing problem of polluted runoff. $50 million is required annually for the Commonwealth to keep up with its stormwater obligations. The Stormwater Local Assistance Fund is the perfect mechanism to provide these funds, and stable, consistent deposits will allow for great forward momentum towards meeting our restoration goals. Consistent and adequate funding for the Virginia Conservation Assistance Program will help restore the creeks and streams our children play in; create habitat for birds, bees, and other pollinators; reduce localized flooding; and protect property values. Legislators must not weaken and, where possible, improve Virginia’s Stormwater Management Program.